Several people texted or emailed links to the recent Fortune /Kaiser Health News investigative article on electronic health records. I enjoyed the video sound bites at the beginning, where various members of the US government were extolling the benefits of electronic records. The piece hooks the reader by opening with a story that details a patient’s death from a brain aneurysm, with the lack of diagnosis being influenced by failure of the head scan order to be transmitted by her physician’s EClinicalWorks EHR. 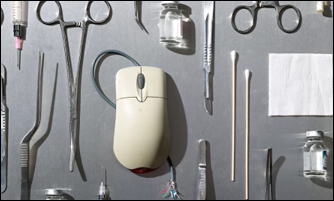 The article goes on to detail a stunning array of patient safety issues and medical errors tied to EHR use, noting the gag clauses that vendors use to keep their clients quiet. eCW isn’t the only vendor called out in the article – Epic, NextGen Healthcare, Allscripts, and Greenway Health were noted as having been the target of lawsuits and complaints. It’s a long article, but worth the read. It reminded me of some of the industry’s antics during the push for EHR adoption that I had forgotten: the availability of eClinicalWorks systems at Walmart’s Sam’s Club and various vendors holding nationwide “stimulus tours” and “cash for clunkers” roadshow dinners that offered physicians an opportunity to switch to a new EHR. Although there wasn’t anything truly shocking in the article, I wonder what non-industry people would think about its content and how the events unfolding in the EHR industry parallel (or don’t parallel) what might be going on in other industries. I’d be interested to hear what any non-health IT folks who read the piece think about our little slice of the economy. The National Resident Matching Program, a.k.a. “The Match,” was held last week. This year’s process was the largest on record, with 44,600 applicants vying for more than 35,000 residency training positions. Not surprisingly, newly-minted physicians voted with their feet and their pocketbooks. Competitive specialties that filled all available positions included interventional radiology, otolaryngology, plastic surgery, and thoracic surgery. Many of those filled more than 90 percent of their slots with graduating US allopathic (MD) seniors. Despite the fact that primary care physicians are supposedly in demand, specialties that filled fewer than 45 percent of their slots with US MD seniors included family medicine, internal medicine, and pediatrics. The remaining primary care slots are being filled by osteopathic (DO) seniors and international medical graduates. Until things change dramatically, we’re going to continue to see medical students shy away from the parts of the workforce where they’re needed the most. I ran across an interesting piece on how working long hours and weekends might affect men and women differently. The underlying study looked at workers in the United Kingdom and found that women are more negatively impacted by long hours. Working on the weekend impacts both subgroups, but in different ways. Women working long hours were more apt to show depressive symptoms than those who worked fewer full-time hours or part-time. Men working long hours didn’t show a significant rise in depressive symptoms. My family lives in an “opt in” state for data sharing on the state’s health information exchange. Fortunately, the big players in their town all participate. When my uncle was recently hospitalized at Big Health System, my dad was excited to find a pamphlet on the value of opting-in to HIE sharing while going through the admissions documents. Since he understands the value of having multiple clinicians be able to share data, he went to the nursing station to obtain the appropriate forms to opt his brother in. The person he talked to seemed surprised to learn about the pamphlet and didn’t have any idea what forms were needed. He was redirected to the medical records department deep in the bowels of the hospital, and they didn’t have any idea either. He was forced to call the number on the pamphlet to try to get information, which wasn’t terribly fruitful. Documentation 1, Patient 0. Walmart is taking advantage of domestic medical tourism by sending patients across state lines for consultations and second opinions. The company’s Centers of Excellence Program matches patients with a short list of hospitals, including Mayo Clinic and Geisinger Medical Center, for certain surgeries and treatments. While it was optional for the first six years it was in existence, participation has been required since 2018. Geisinger plans to expand similar programs to other companies besides Walmart. This approach is quite a change from what many of my patients experience, where they can’t find specialists who even accept their insurance. Maybe your mom was right: going out and getting some fresh air can be a game-changer. A study recently published in the International Journal of Environmental Health Research shows that spending 20 minutes in a park can improve wellbeing. Participants visited urban parks in Birmingham, Alabama during the summer and fall. From experience, being outside in the summer in Alabama can be a challenging mélange of heat and humidity, so I’m glad they included another season. Subjects weren’t told what to do in the park or how long to be there, but were monitored with fitness trackers and questionnaires. Wellbeing scores rose in park attendees. Washington DC-area pediatrician Robert Zarr has been a fan of sending patients outdoors for a long time, founding ParkRxAmerica to help providers “prescribe Nature” as a way to decrease their patients’ burden of chronic disease and increase health and happiness. Zarr believes that writing the prescription in the EHR just like a medication makes it more specific and motivates patients to actually follow the instructions. This has also been done by National Health Service GPs with good outcomes. The US National Park Service has a Health Parks Healthy People program to advance the idea that “all parks – urban and wildland are cornerstones of people’s mental, physical, and spiritual health, and social well-being and sustainability of the planet.” People who know me know I’m a huge fan of the US National Park Service, and after paying my recent tax bill, I’ve decided to visualize 100 percent of my federal taxes going to support it. 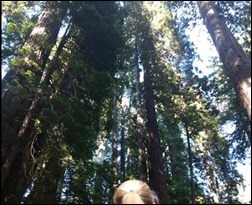 I made it to Redwood National Park last summer and would be happy to write a script for anyone who’s interested. What’s your favorite National Park? Leave a comment or email me. Yellowstone, hands down. Yes, the crowds can be problematic, but spring and fall are wonderful season there for different reasons and less crowded. Waterfalls, plains, canyons, wildlife, bubbly things, exploding things, surreal colors, insane tourists doing ill-advised things with animals. Accommodations range from nice hotels to rustic camping. What more could you want? Yosemite is my favorite national park. The Valley is so stunning that photos taken from the scenic overlook Tunnel View look like they’ve been fabricated in Photoshop.